New standards imposed by the NSF were designed to ensure the pallets your company uses are safer, stronger and more durable. These new guidelines mean it’s never been more important to pick the right pallets. We’re proud to offer ProGenic Pallets that have independently passed all these standards with ease. Our NSF-certified plastic pallets offer a number of advantages, including a flow-through design that makes cleaning a breeze. It’s also easy for inspectors to check out your cargo load with our ProGenic Pallets. We specialize in pallet solutions that can be used across many industries, including beverage, food processing and pet food production. Our pallets are made in one piece and retard flames. You can also have an anti-microbial additive included to keep your products safe and clean. Peruse our options to see which one would work best for your company. 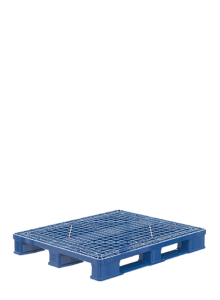 Each one of our hygienic plastic pallets is certified. You can feel confident that if the NSF performs an unannounced plant inspection, our pallets will stand up to all of its tests. We’ve tested our products so thoroughly, we’re confident they will pass. No matter which of our four pallet options you pick, all are 48 by 40 inches. 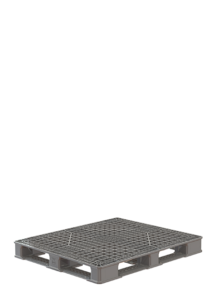 The heavy-duty pallet is edge-rackable up to 2,200 pounds, while the reinforced-duty pallet can go up to 2,800 pounds. 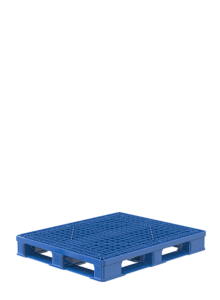 Polymer Solutions International, Inc., has gained a reputation for providing reliable and durable plastic pallets and other products to keep your warehouses and trucks running efficiently. We use high-quality materials to ensure our products will last. There’s nothing worse than getting an unreliable good or service that costs your company valuable time. That won’t happen when you choose PSI. We also offer sustainable products, because we know how important it is to care for the earth. We avoid extra waste for landfills by packaging our products in reusable materials. When you no longer need your pallet, contact us to have it recycled or reused. We work together with our customers to emphasize green opportunities and make choices we can both feel good about. 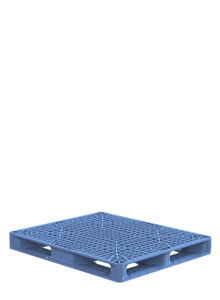 When you need certified hygienic plastic pallets, contact PSI about our ProGenic options. We’ll help you find the right choice for your needs no matter what business you’re in. We also sell bottled water racks to business worldwide.